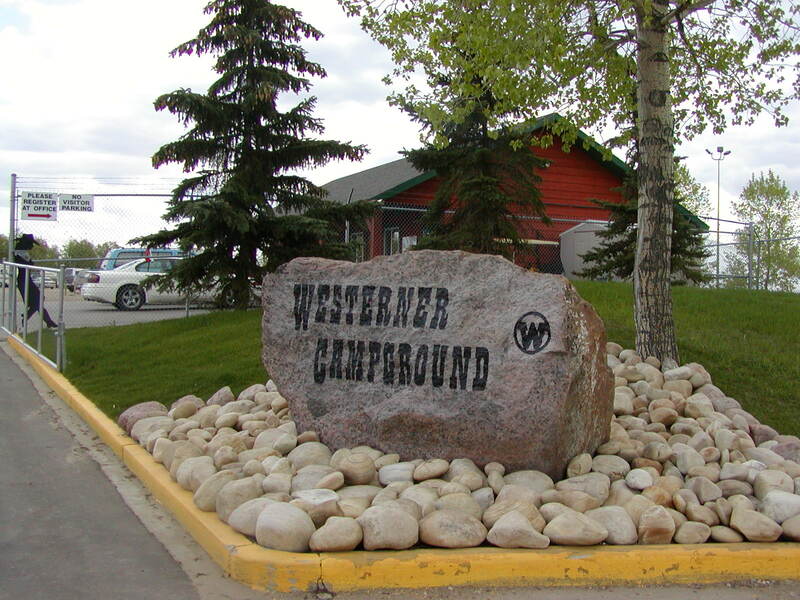 Westerner Campground, established in 2003, is an RV Campground only, (NO TENTS ALLOWED), and is situated in south Red Deer with easy highway access from both Hwy #2 north and Hwy #2 south of Red Deer and located on the site of Westerner Park. 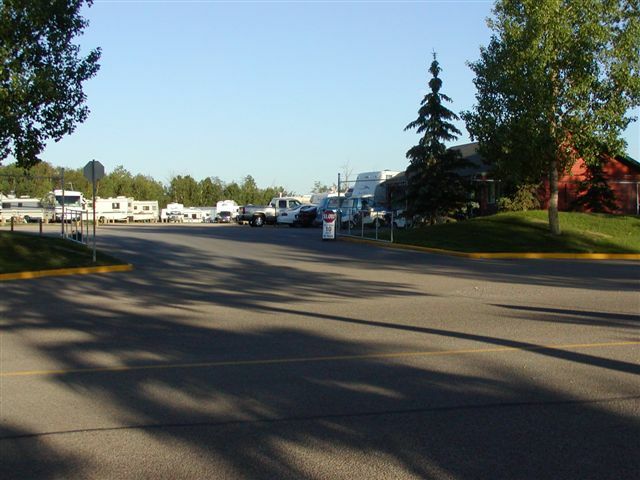 The campground is within walking distance to 4 RV dealerships as well as shopping and restaurants galore. The campground is open YEAR ROUND to facilitate all of your needs, whether they are business functions, weddings, rallies and appointments or to attend one of the hundreds of events taking place in or around Red Deer. We also cater to the business that requires an employee(s) to stay on site for weeks or months to complete contract work or finish up a job. We've also been home to numerous families who have moved to Red Deer and are looking to purchase a home or the homeowner who is in-between selling a house and the construction of a new home. Nearby amenities and services include shopping, golf courses, restaurants and a direct link to Red Deer's extensive bike and walking trail system with over 80 kilometers of easily accessible paved hiking and biking trails connecting the park user to its beautiful green areas and special attractions in which you can spend a number of days enjoying the sights, sounds and history of Waskasoo Park. Local attractions are abundant including Heritage Ranch, Fort Normandeau, the Alberta Sports Hall of Fame Museum and the Collicutt Centre, Red Deer’s premier leisure centre with amazing features such as wave pool and water park, 290 meter 4-lane indoor track, ice arena, soccer pavilion, field house, climbing walls and a fitness and wellness studio. In 2002 Red Deer was awarded the 2002 Cultural Capital of Canada award. If that wasn't enough, Westerner Park is also Central Alberta's largest Trade Show, Agriculture, Entertainment Sports and Convention Facility with over 1200 events per year and home of the Red Deer Rebels WHL hockey team. Reserve your spot today and enjoy everything Central Alberta has to offer. Red Deer's Tourism and Information Centre is located on Highway 2 at the Alberta Sports Hall of Fame, just north of 32nd St.
For more information please call the office at (403) 352-8801.